Hey everyone. 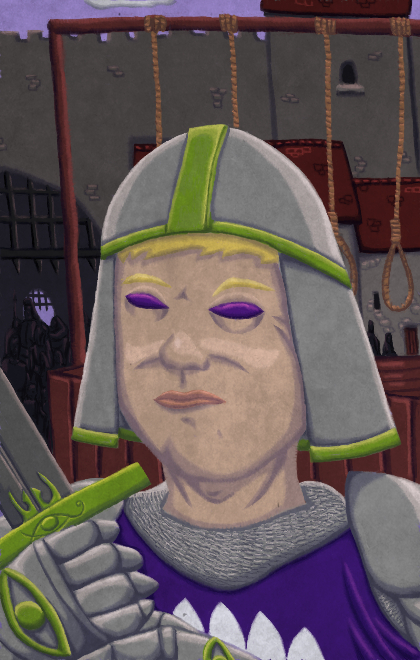 I've been a long-time fan of the Baldur's Gate series and I've always thought about doing custom portraits for the game. 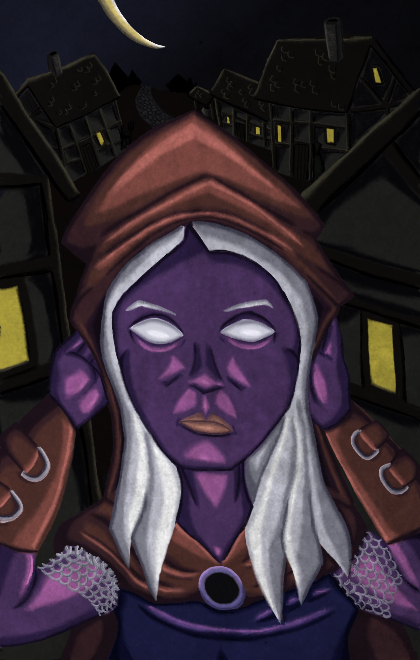 My skills are not such that I can recreate the painterly style of the original game, though I think I have created something interesting with the art-deco, expressionist style that I've attempted with these portraits. Below are some of my favorites among the ones I've done so far. All of them can be seen on my deviantart profile at http://jakaminski.deviantart.com/gallery/ which also contains a link to download the portraits for use in the game. Currently there are 11 portraits. 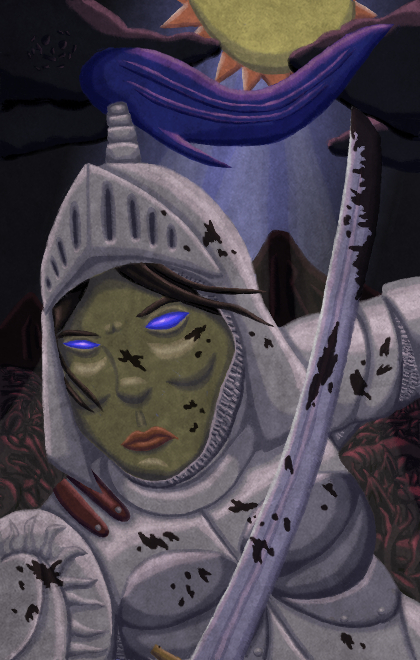 There are 9 NPCs finished and 2 of my protagonist characters. 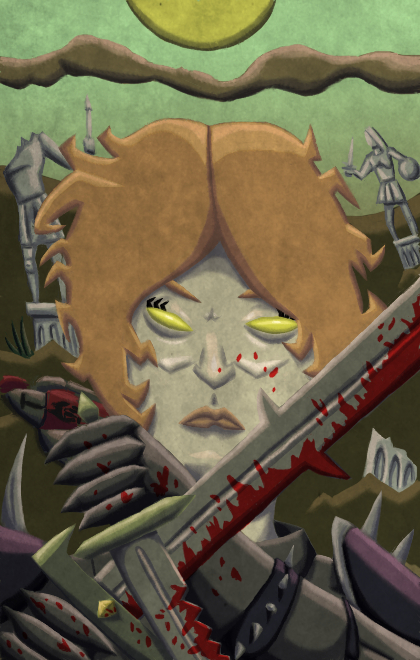 Eventually I hope to do all of the characters for Baldur's Gate 1 and 2 as well as a few more protagonists that I plan on making. 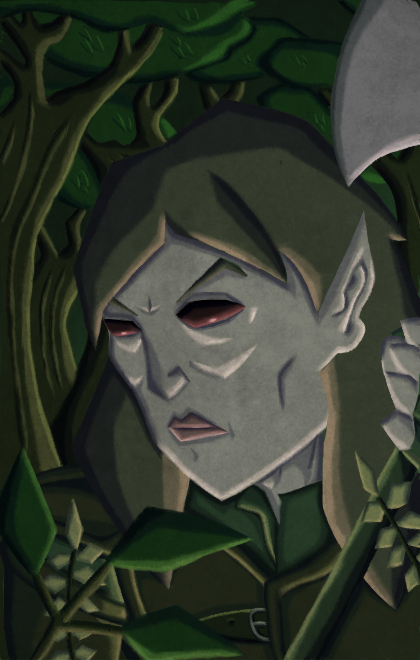 My first round of portraits is based on the parties I am playing with currently, which is why I have a lot of evil characters finished. If you are interested in my portraits I will periodically update the zip file available on my deviantart account as I develop more portraits. 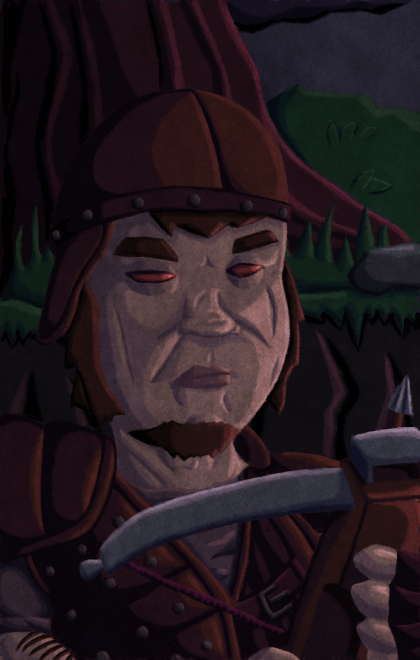 Everytime I finish a new portrait it is usually added to the pack within a day or two. 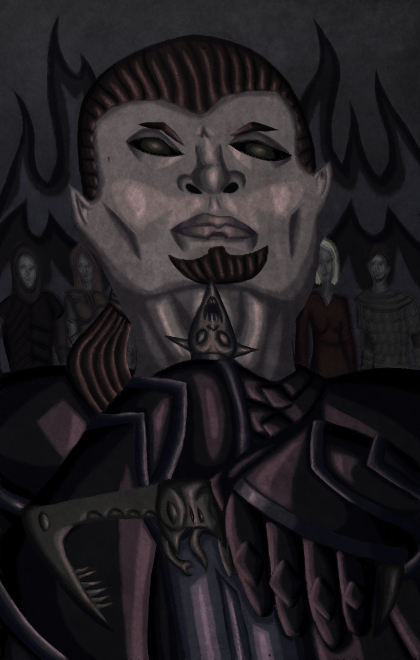 New CHARNAME portraits are being displayed in another thread (https://forum.baldursgate.com/discussion/19185/stylized-charname-portraits#latest). 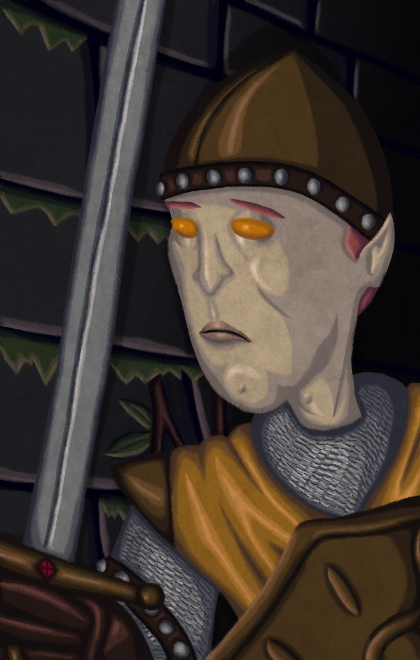 UPDATE: I am now working on Baldur's Gate 2 NPC portraits. They will be added onto this thread. Not my cup of tea for in-game play, but kudos for trying something totally unique. I like the varied backgrounds and stylistic interpretation of each character. Thanks for the feedback and the compliments. It is greatly appreciated. Very unique looking. Great job! Glad you guys like them. Just added another one. This is my third protagonist character and probably my last protagonist for a while. She is a female Cavalier that uses a katana and wakizashi. Two new portraits to add to the collection. My two favorite evil characters, Montaron and Xzar. Oh! I remember seeing these on dA! They're defs non-traditional interpretations of the characters, but I love the style. Thanks! Just finished Coran. Ajantis will be following him soon. Next two on my list will probably by Eldoth and Faldorn. 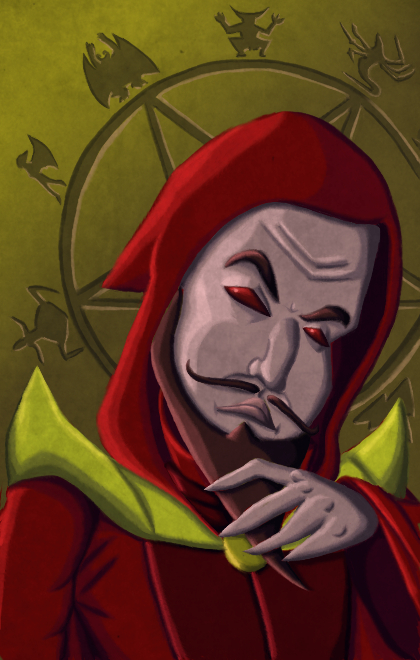 Eldoth has now been added to the portrait pack. Faldorn is now in the pack as well after a surprisingly productive day. Not sure who I will do next from here, probably Khalid, Jaheira, and Garrick. 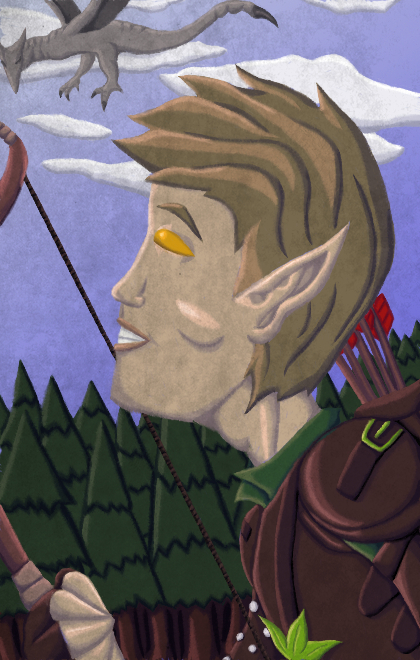 Khalid and Jaheira are finished and have been added to the pack. Repost Kagain and Shar-Teel when you get a chance. The filter doesn't let them (or Faldorn/Hana) show up due to "gore" (which, judging from Faldorn and Hana, is a pretty loose criterion). Sure thing. I've been erring on the side of caution when it comes to deviantart. Once I've finished updating my portfolio site (www.kaminski3d.com) they will all be available there, but that may not be for a few weeks yet since I still have a fair amount to work on. 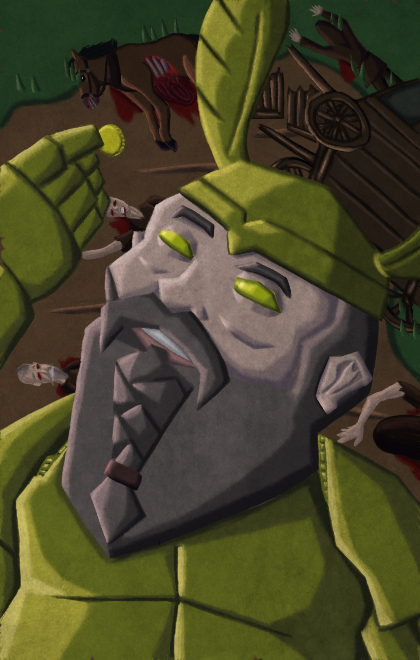 In the meantime though, I'll be sure to post any "mature" content portraits here so that people can see them without filter issues. It would be very interesting playing the saga with these portraits. It almost seems a brand new experience! Thanks! I think the style fits pretty well with the game if everyone in the party is covered. Mixing styles is a bit odd, but once I've finished everyone that shouldn't be too much of a problem. 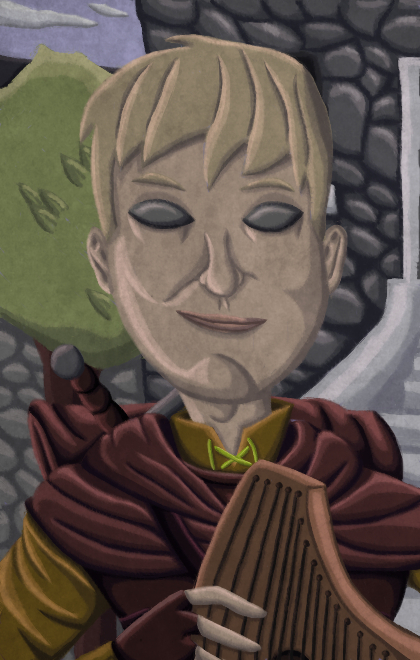 I'm thinking that I'll add more protagonist portraits in this style after I've done all the NPCs to expand its usefulness to anyone interested, perhaps based on requests from people here. That will probably be a ways off though since I still have something like 12 or 13 more characters to do before I'm done with NPCs (for Baldur's Gate 1 that is). 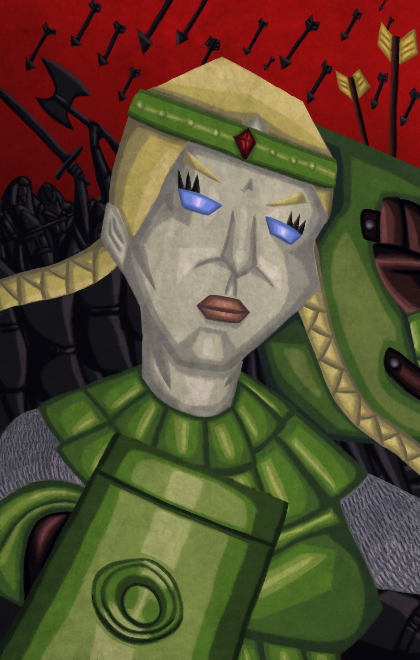 Dorn and Neera have already been done, they are both available on my deviantart page mentioned in the initial post. I'll also attach them here. 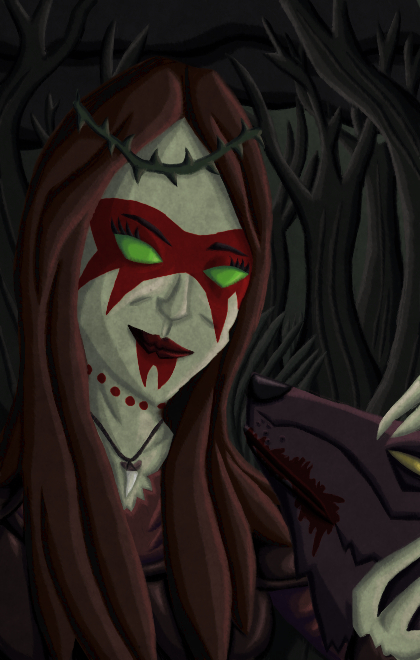 In the description for any portrait in my deviantart gallery is a link where you can download all of the current portraits for use in game. The count right now is at 20, 17 NPCs and 3 of my protagonist characters. I'll probably get to Rasaad pretty soon. My good party in Enhanced Edition is almost to Nashkel which will give me a chance to recruit him and check out his personality and storyline more. My neutral and evil parties are quite a bit farther which is why I have chosen the NPCs that I have so far. Just added Garrick to the portrait set. I can understand your complaint. 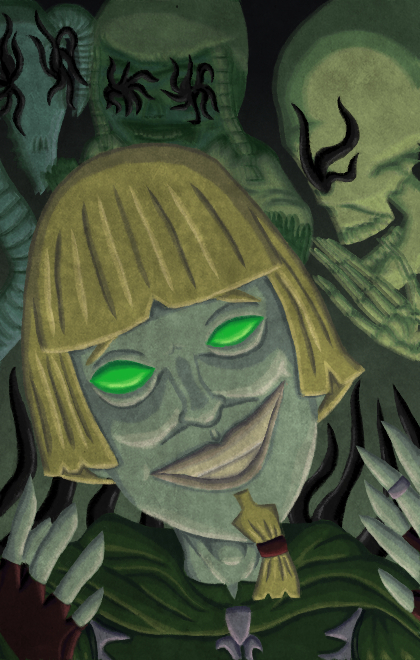 There were a few portraits where I deviated quite a bit from the original ones. For some reason I was thinking she had darker hair in game, but I just checked out of curiosity and I think I may have mixed her up with someone else whose hair may not have matched up well. Considering that the file is easy enough to alter I will certainly consider making a blonde version. Blonde Shar-Teel. 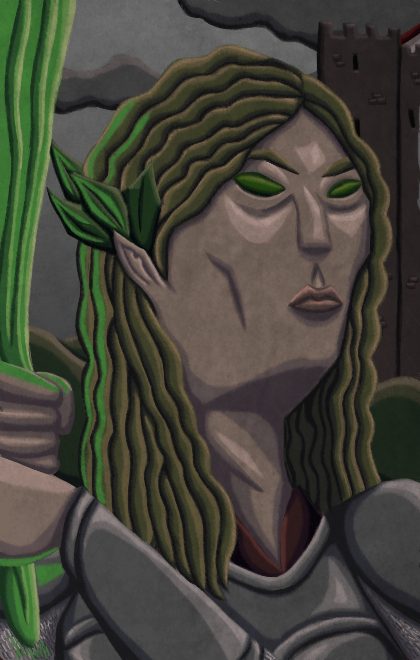 I got so used to black haired Shar-Teel that it seems weird to see her blonde, but I think I'll probably go with blonde Shar-Teel for the portrait pack since I got the hair thing wrong anyway. Thanks lecerint for giving me a reason to double check my thinking with her portrait. Xzar, Edwin, Coran, Shar-Teel, and Khalid are my favorites. I also think Kagain is a really cool concept. Thanks, Xzar is one of my favorites as well. You're correct on the remaining characters, though I also have Rasaad, Safana, and Branwen to add to that list. Minsc and Dynaheir are the next two I will be putting up. 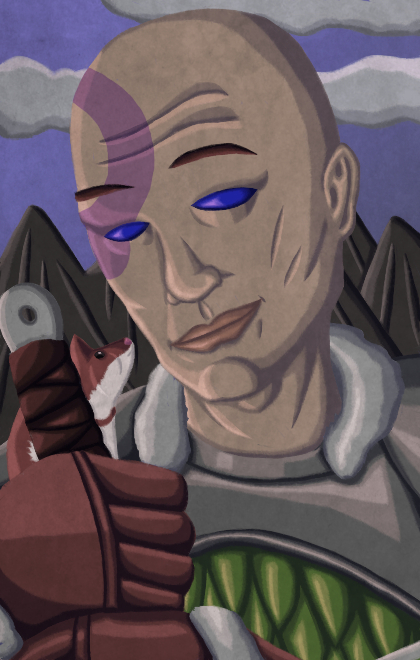 Minsc and Dynaheir are now finished. 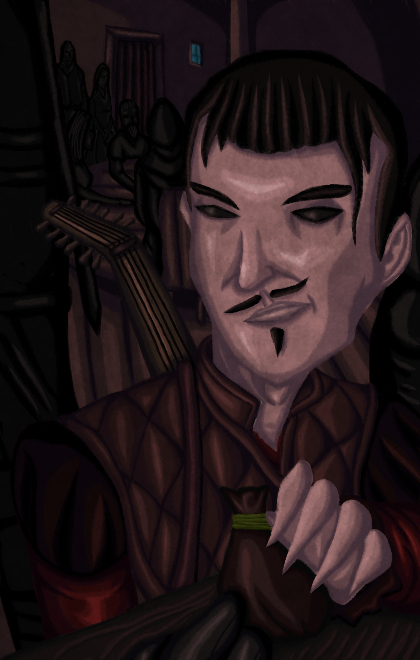 I've always liked Minsc's portrait so nothing much more drastic than drawing him in the style of the others. 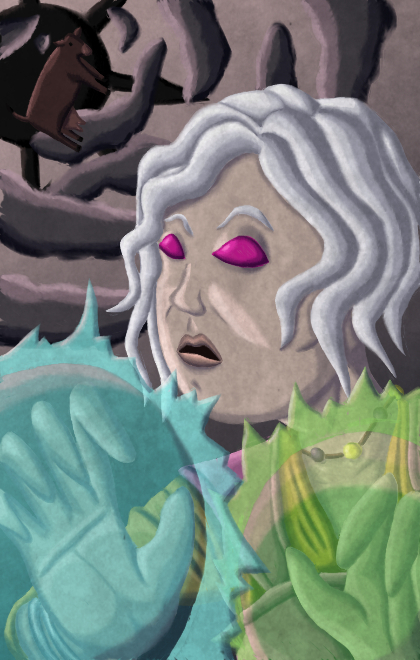 On the other hand, I've had a fairly distinctive idea for Dynaheir ever since I started this project. 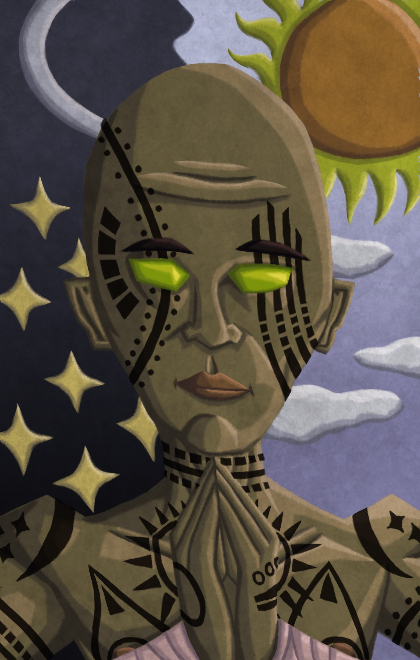 Rasaad is now finished and added to the portrait pack. 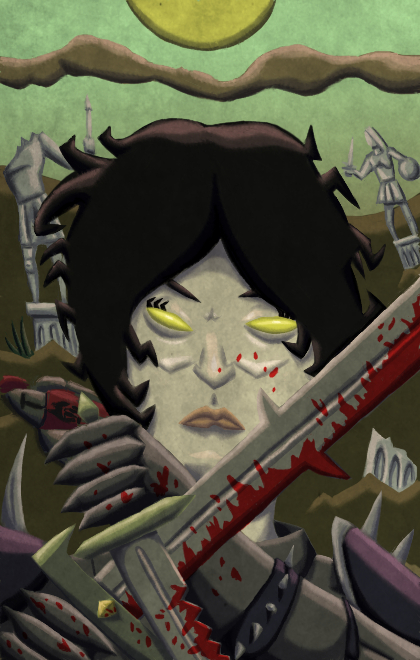 Just finished Branwen. 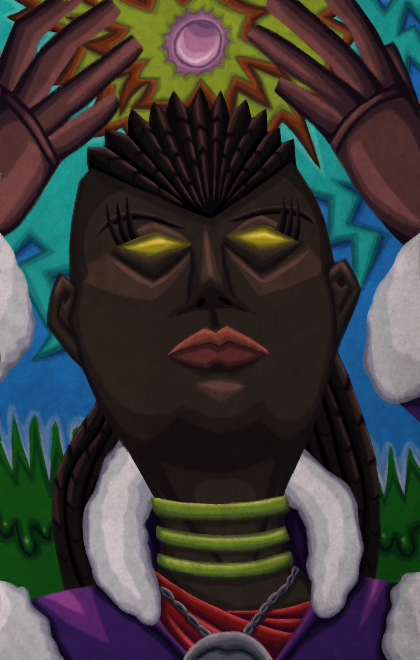 She is now in the portrait pack. 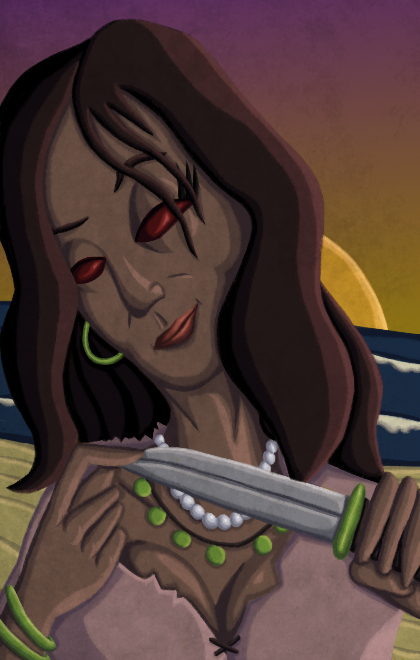 The seductive Safana is now in the portrait pack. I think these are so cool and the design is so twisted I like it, my gripe is with xzar, he doesn't look like that, but what you did with the background is brilliant, I would like to see his makeup and I'm sure he doesn't not have a beard thing.